Menulog delivers for Donut King - Leichhardt so you'll be able to track your courier on a map. Mixed box assorted classic donuts. Mixed box assorted Indulgent donuts. Mixed pack assorted iced cake donuts. Freshly made warm cinnamon donuts. 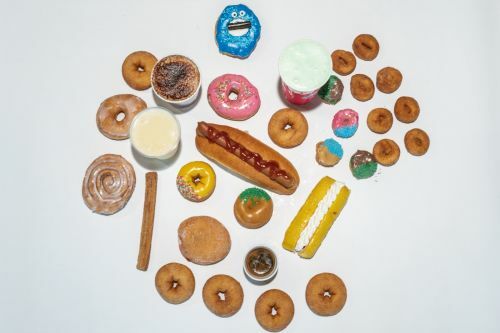 Mixed pack assorted mini donuts. Reg coffee and two slices of raisin toasts. Please write in the comment section what type of coffee you would like. Hot dog and reg drink. Please write in the comment section what type of drink you would like. Reg coffee and freshly made ham cheese and tomato toastie. Please write in the comment section what type of coffee you would like. Kid's donut, reg milkshake, iced donut and reg coffee. Please write in the comment section what type of milkshake and coffee you would like. Two hotdogs and two reg drinks coffee / milkshake / bottle drink. Please write in the comment section what type of drink you would like. Please write character drink selection whether for boy / girl in comment section.